Trevon James is one of the top US BitConnect investors. Along with most of the other top US BitConnect investors, James primarily promoted BitConnect through a YouTube channel. At the time of publication James’ channel boasts 137,000 subscribers. Not surprisingly, following BitConnect’s collapse shills like James have been copping a lot of flak. [5:04] I’m getting blasted, you know what I’m saying? Because of other people’s decisions. There are countless investor stories collectively details millions of dollars on losses (you can read these yourself on Reddit andYouTube). Rather than acknowledge they made a ton of money recruiting people into a Ponzi scheme, top YouTube promoters are adamant they had no role in their subscriber’s losses. [5:11] I never told anyone to do anything. I never told you guys to do anything. I just said… now I might have broadcasted it and said, “Hey look, look what I’m doing”, but I never told anyone what to do with their money. 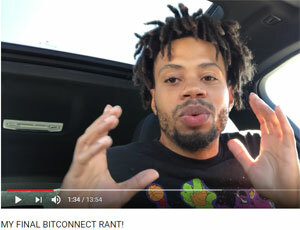 In a video titled “My Final BitConnect rant!”, James initially claims nobody lost money in BitConnect. [1:22] Now, you did not lose $30,000. Everyone, listen up. You didn’t lose your money. Technically you kinda lost your money. James goes on to tell BitConnect investors “that there is hope”, because they’ve only lost if they sell (for less than they bought in at). [1:56] If you hold onto your bitconnect coins and wait, they will be more than they were when they (BitConnect) gave them to you. James doesn’t state why he believes BCC will increase in value. As a result of BCC having no use outside of the BitConnect Ponzi scheme, since it collapsed the value has bottomed out at $5. Trading saw the value peak again at $80, before settling on the current value of about which has since settled on the current value of $25 to $30 over the past few days. Rather than accept responsibility for profiting off of convincing people to invest in BitConnect through his YouTube videos, James puts down investor losses to greed. [3:30] BitConnect is not and was not a Ponzi scheme. It was and still is a cryptocurrency. I still have all of my bitconnect coins and more because I bought more because I’m educated. James does not explain how soliciting investment and paying out more than was invested from subsequently invested funds, clears BitConnect of being a Ponzi scheme. [3:55] Hold on to your bitconnect coins, don’t sell them. Wait till everyone who is gunna sell has sold. 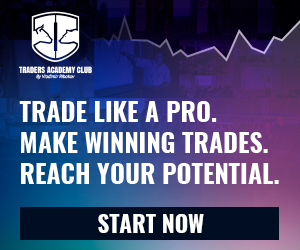 And once that has happened if you hold on, if everyone holds on, the price is going to go up because supply demand. Again, James does not explain where demand for collapsed Ponzi tokens is going to originate from. James does state that “BitConnect is going to keep developing”, which appears to be the opposite of what they’re doing. How is flooding the market with what’s left of pre-generated BCC and doing a runner evidence of development. And development of what while we’re at it? Other than another Ponzi scheme, what could BitConnect’s anonymous owners develop that would appeal to people who invested solely because of the Ponzi scheme in the first place? [6:24] And hold your bitconnect coins on there (the BitConnect wallet) and wait. Six months to a year, however long. If there’s one thing about cryptocurrency, it’s that they always go back up. Always. James goes on to again reference bitconnect coin development, suggesting the owners will continue to support the coin despite US regulatory investigations. [6:41] And we, the holders, the people who are educated, are going to hold on and make sure that these guys continue to develop. James doesn’t explain how, despite not even know who owns BitConnect, he or anyone else will “make sure” they continue to develop BCC. As is common with those who profit in Ponzi schemes, rather than attribute BitConnect’s collapse to ROI withdrawals exceeding new investment, James rallies against the US government. [9:05] Stop looking for other people to blame. I lost out too. I had an income. My income is gone. Now I’m not looking for anybody to point fingers at. Because, if there’s anybody to point fingers at, it’s America for the whole cease and desist. If it wasn’t for that hatin’, and people mad cause people making money hand over fist too easily… if it wasn’t for that, the lending would still be here. [9:55] The lending had to stop because America was starting to roll a snowball, that would have just got worse and worse and worse and worse. In a turn of pitch the rest of James video takes on, the last few minutes of James’ video reveals contemplation of the millions of dollars in damages he’s caused. Unfortunately seconds later, what might be the realest James video gets, is promptly destroyed by him declaring, “I feel I didn’t do anything wrong”. According to his Facebook profile, Trevon James lives in Greensboro, North Carolina. North Carolina was the second US state to issue BitConnect with a cease and desist back on January 9th. [12:19] I didn’t do anything wrong. I just vlogged me using BitConnect, doing videos on it and I had a (referral) link in the description. And hella people clicked on it. Because it’s more convenient to click on it. [12:31] So you can’t crucify me for anything. Yes I made more than the average person because I got more referrals, but I was in my eyes … doing something that was legit. The first link in the description for James’ “My Final BitConnect rant!” video, is a referral link for the DavorCoin ICO lending Ponzi scheme. On top of the referral commissions he made in BitConnect, James claims he’s currently holding about 4000 BCC. Toward the end of the video he states he has no intention of selling them for “nothing less than $300”. Whether US regulators pursue James and other US YouTube promoters with clawback litigation remains to be seen. Bitqyck abandoned due to regulatory investigation, offshore reboot? Previous story 20K BTC Review: Texas lawyer running $299 a pop bitcoin pyramid?